Should you convert Tesco Clubcard points into Alton Towers theme park tickets? Is it worth converting your Tesco Clubcard points into Alton Towers theme park tickets? And how do you do it? There is no doubt that it is a great place to visit, but today I want to look at whether Alton Towers in Staffordshire is a good use of your Clubcard vouchers. You can convert your Clubcard vouchers into Alton Towers tickets on this page of the Tesco website. You will need £13 of Clubcard points for a ticket for either an adult or a child (children under 3 are free). Your ticket is emailed to you directly to print at home. The ticket is valid for six months from the day you redeem. 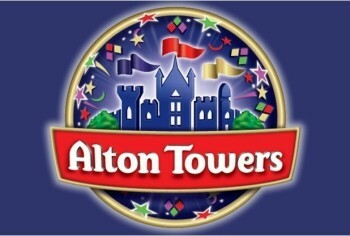 Is Alton Towers a good way to spend your Clubcard points? An Alton Towers ticket on the door is now a shocking £55! If you book online 1-4 days in advance that comes down to £35, 5 days in advance the ticket costs £27.50. On that basis, you are getting (£55 / £13 of Tesco vouchers) 4.2 x face value. This is very good. However, there are often many special offers available on Alton Towers tickets. Some brands of Kellogg’s cereal, for example, currently have a ‘buy a child ticket and get a free adult ticket’ coupon printed on them. Alton Towers is included. This would halve your entry cost for paying cash if 2 adults and 2 children or 1 adult and 1 child go. Your Clubcard vouchers are not as good a deal if you can get one of these vouchers – you would be getting 2.0 x face value if you redeemed for Alton Towers tickets. This still isn’t too bad but you should also consider redeeming for one of the other high value Clubcard point redemptions on our list. How do I book my Alton Towers tickets via Clubcard? You can find out more about using Tesco Clubcard points for Alton Towers tickets, and redeem your Clubcard vouchers, on this page of the Tesco site.